Can you truly measure the impact social media marketing has towards overall business goals? If you can’t answer this question, chances are your employee advocacy program is going to experience some hiccups. 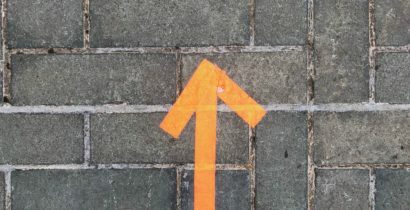 Most current employee advocacy programs and SaaS platforms track vanity metrics like engagements, likes, and shares, but what do these actually mean? And how do they contribute to your overall marketing goals and company revenue? If employee advocacy is only measured through vanity metrics it will be hard to determine if you’re actually achieving program results. It will be nearly impossible to figure out new ways to evolve the program and justify spend/show ROI. While vanity metrics provide a good starting point — they also don’t mean much on their own. Vanity metrics need to be tied to larger goals and attribution metrics to provide real value. Only then can there be solid insights into employee advocacy goals and overall program performance. 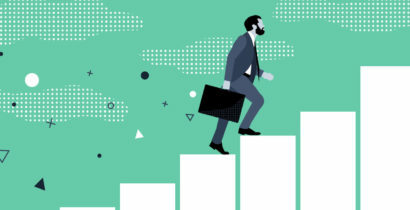 Understanding how to optimize an employee advocacy program in terms of adoption, engagement and revenue attribution is essential for success. When implementation of these metrics is done correctly, employee advocacy can turn your workforce into your strongest marketing asset. Best in class employee advocacy programs understand the impact they have on company revenue. 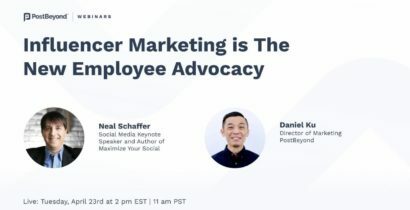 To learn more about adopting (or optimizing) an employee advocacy program with the right metrics, join our webinar on May 24th at 11 am EDT. David Lloyd (PostBeyond CEO) and Sarah Goodall (Tribal Impact Founder) will dive deeper into the which employee advocacy metrics provide real value, how to set-up and track these metrics, and real-world examples.